(Reuters): U.S. companies, already sweating under heightened enforcement of anti-corruption laws at home, are nervously reviewing their policies on how they wine and dine business contacts abroad in the wake of tough new regulations imposed in Britain. The new law, which took effect July 1, bans all so-called facilitating payments and does not expressly allow entertainment of government officials and others. The jury is still out on how rigorously British authorities will choose to enforce the law. Companies in the defense, pharmaceuticals, energyand telecommunications sectors are seen as particularly vulnerable. At the same time, U.S. companies are grappling with tighter rules at home too. New whistleblower rules approved by the U.S. Securities and Exchange Commission have also spurred companies to scrutinize their existing compliance programs, according to legal experts in the United States and Washington. 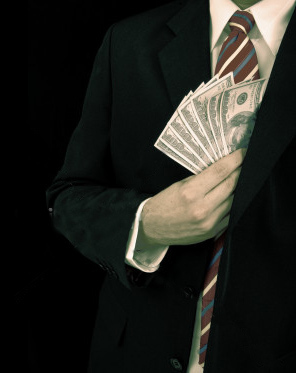 "We have definitely seen an uptick in our business in the anti-corruption and anti-bribery area," said Ed Rubinoff, a Washington-based expert on export controls and foreign corruption with Akin Gump Strauss Hauer and Feld. Telling his version of events for the second time the crown witness told how he and Martinez had met Rankine at the eastern star bar in east end and how he had agreed todrive them into George Town in his company work van. (CNS): A writ filed in Grand Court on behalf of the joint official liquidators (JOLs) of the various Grand Island Funds, which collapsed in 2008, seeks to recover more than $22 million from the fund administrators, Close Brothers Ltd, and one of its employees. In the statement of claim Nick Freeland and David Walker say that the defendants failed to properly carry out their duties as administrators by ignoring obvious signs of fraud. The liquidators claim that the administrators failed to report Robert Girvan, the funds’ director and sole trader, who was convicted on 21 counts of theft and money laundering, despite many obvious red flags that should have alerted them to his illegal activities. 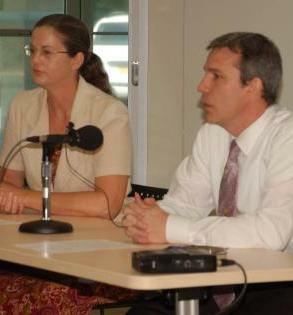 “By reason of their failure to carry out their duties as administrators or to follow their own internal policies and procedures, they failed to discover and so alert the other directors of the funds, the auditor or the regulatory authorities of the Cayman Islands that the funds were being managed by Girvan as a Ponzi scheme,” the JOLs’ lawyers say in the writ. They present an exhaustive list of opportunities in the 42 page claim, which they say Close Brothers Cayman Limited (CBCL) and John Sutlic, who was a director of the fund and CFO at the firm, ignored. Despite the catalogue of discrepancies, the administrators continued to issue net asset values for the funds, the JOLs state, accusing them of negligence and recklessness. According to the JOLs, the administrators simply accepted at face value what Girvan told them and the forged documents he sent, even though no reputable bank would produce statements with such obvious errors. The JOLs claim that as early as July 2003, less than six months after the first fund was established, the administrators were being sent very clearly false documents by Girvan. The false bank statements being sent to CBCL were picked up by an employee, who noted the significant discrepancies and alerted other people at the firm in an email of the need to get originals directly from the bank. Despite this and other warnings, however, and the fact that the documents were so apparently false, Close Brothers continued for another five years to accept the doctored statements and issued fund values based on the forgeries, the liquidators say in the statement of claim. 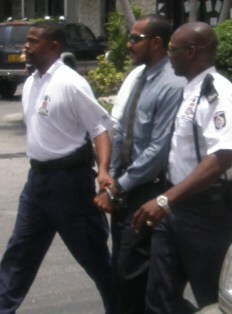 Girvan was not arrested until 2008, when the real and substantial losses the funds had suffered through trading, further compounded by Girvan’s criminal attempts to cover up the losses, were revealed. He was accused of stealing more than $19 million and was sentenced to eight years in jail after pleading guilty. Girvan was able to commit the acts of theft and money laundering, the JOLs say in the writ, because of the failures of the defendants. Aside from failing to pick up on Girvan’s poor attempts at forgery, allowing him to co-mingle money from the funds into other accounts, and failing to keep proper books of account, the JOLs claim that Close Bros had “at all material times … irreconcilable conflicts of interest” as a result of the firm’s existing relationship with the promoter of the funds, Naul Bodden, and that affiliates of CBCL were in investors in the various Grand Island Funds. As a result of the “breach of fiduciary duty”, the JOLs claim that Close Brothers and Sutlic are liable for the losses and the money which was wrongfully transferred. They also say the administrators are liable for the redemption payments that were made based on the false net asset values they produced from the obviously false statements given to them by Girvan, which shouldn’t have been paid. The JOLs say the administrators should also pay back the fees, commissions and other charges they were paid as they were not properly earned. In total the JOLs are seeking more than $22 million from the firm as well as costs, interest and damages. The JOLs have confirmed that the litigation remains in the early stages, with the writ filed in late November, and so far no settlement has been reached. “However, we are always willing to consider sensible and realistic proposals that would achieve an acceptable outcome for the funds shareholders,” Nick Freeland told CNS. 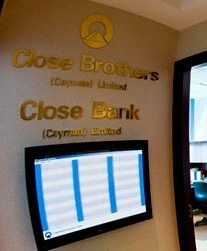 Managing Director of Close Brothers, Linburgh Martin, acknowledged the litigation between the Joint Official Liquidators of the Grand Island Funds and Close Brothers (Cayman) Limited (CBCL) and various other parties in Cayman but denied culpability. “We believe that CBCL and its employees acted appropriately in servicing the funds and that we have a solid defence to the various allegations against us in this unfortunate matter,” Martin added. 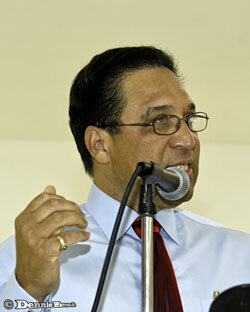 He also noted that the recent sale of CBCL and its Cayman affiliates was not related to the Grand Island Funds case. “The sale follows the recent sale of our Group’s ‘UK Offshore’ business in the Channel Islands, as the Group concentrates on expanding its core UK asset management business. We are confident that CBCL’s Cayman business will go from strength to strength and the sale will prove to be an excellent strategic move for our business,” Martin told CNS. (CNS): Despite the damning public criticism of the members of the Constitutional Commission by the country’s leader, the commissioners will be going ahead with their public meetings in order to continue their research into how government and the constitution are working, how politicians are advised and what changes people want to see, if any, to the constitution to achieve the goal of good governance. Although Premier McKeeva Bush, derided comments made by Wil Pineau and Julene Banks about the advisory district council law and the current North Side advisory council, the team is starting its public meetings in that district as planned, unperturbed by the comments. So far, the commissioners have not responded publicly to Bush’s criticisms but say they have written to the governor and will make that correspondence public shortly. Speaking inthe Legislative Assembly last month, Bush said their poor performance was embarrassing as they had “gotten so far adrift” from their “real role”. He accused them of misusing their position and trying to influence public opinion. The premier said he had asked the governor to speak with the commissioners and he was encouraging them to speak with the attorney general to be better “schooled in their role and functions” as he accused them of trying to frustrate his administration. 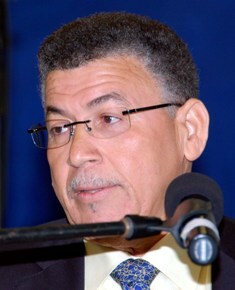 Bush was particularly angry about the commission’s comments regarding the law recently passed by government on the make-up of advisory district councils, which provides for the councils to be appointed by government. The commissioners said that the existing district council in North Side, which was elected by constituents, was closer to what had been envisioned by the commission. However, Bush criticised the commission’s goal to canvas public opinion and said it was a delicate undertaking for a body such as a Constitutional Commission and that their comments were "blatantly partisan”. He said they were indicating their support for the MLA for North Side while opposing the UDP government and were encouraging the people to adopt the same view. Unperturbed by Bush’s accusations, the commissioners will be starting the series of public meetings in North Side on Thursday evening at the civic centre. The commissioners want to engage the wider community in each district in public discussions on all constitutional matters. The commissioners say the meetings will allow members of the public to ask questions about, and gain a better understanding of, the constitution as a document that affects their daily lives. “The public is encouraged to exercise their freedom to become better informed and more involved in the development of constitutional matters. Every voice is valuable in the interpretation of constitutional advancements,” the constitutional officials said in a release. 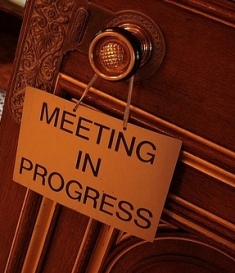 Meetings are planned for the districts of West Bay and the Sister Islands in June. For more information visit the Constitutional Commission website.